We have executive cars for your comfort & it doesn't stop there! Leicester Executive Chauffeurs provides a complete corporate service to our clients from all professions. You will benefit from being driven in one of our stunning top of the range long-wheelbase Mercedes-Benz S and E Class executive vehicles. If you require a destination not listed, please get in touch and we will give you a quote for any location desired. Whether you need us to meet an important client at the airport. Or you want to arrive stress-free and fully prepared for an urgent meeting we’re here to help. We can arrange to meet and greet your clients or associates at the airport. Providing them with a professional and discrete service to and from the airport. From the moment you’re collected to the time you arrive at your destination, you’ll notice the efficient, punctual and courteous service provided by our drivers. Thus making your journey relaxing and enjoyable. Our fleet of luxury vehicles range from Mercedes, BMW, Bentley & White Rolls Royce Phantom. All of which are luxurious, air-conditioned, comfortable & maintained to a high standard. In addition, our executive and professional service is enhanced by a complimentary bottled mineral water, daily newspaper and free onboard 4G Wifi. Furthermore, company accounts are always welcome. We provide itemised monthly invoices with no surcharges and a 30-day credit facility. 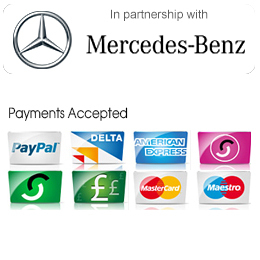 Which by far makes our service the simplest and efficient payment solution for your company and clients. We also welcome and accept all major credit and debit cards through our onboard card processing terminal. With our exceptional professional reputation for excellent customer service and attention to detail, we are the perfect choice for prestige corporate travel. 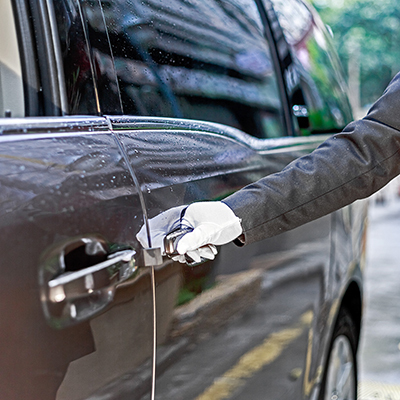 We’re ranked No.1 for UK chauffeurs out of more than 700 companies, for a reason! Leicester Executive Chauffeurs provide a discreet and reliable executive car service that represents all that you stand for, quality, professional, reliable – your business is our business. We’re fully licensed, comprehensively insured for private hire and all our chauffeurs are all fully CRB certified. See below for an example list of UK towns we cover in the UK. We provide business trip chauffeurs to or from Leicester to any UK destination. So, if your location is not on the list, we’re happy to provide you with a quote. Are you travelling to a business conference and wanting to arrive in style? So why not consider a chauffeuring service to create a powerful impression among other business mavens that do not only converge to discuss business matters but to talk about who’s who in the big scene. Whether you have a busy day ahead in a business conference or have planned a sightseeing tour around London. Therefore it is extremely important to arrange for a reliable transport service that can meet your travel needs. A professional Leicester Executive chauffeuring service guarantees that executives confronted with hectic itineraries reach various conference venues on time. And it is also a travel solution that can provide the ultimate relaxation of being driven around the city to enjoy London’s panorama after a gruelling day. Hiring a reliable chauffeuring service allows the tired CEO to temporarily unburden himself from all business anxieties, as the street-smart chauffeur brings him to see London’s finest sights and sites. The uniformed chauffeurs are so professional in abiding by every traffic rules knowing the safety of their valued passenger is in their hands. And our executive chauffeur service is ideal for busy executives, who need to get to a business conference. So we offer a wide variety of decent cars to choose from. Specifically from the latest fleet of well maintained Mercedes Benz executive luxury cars. Therefore, an executive who has too many concerns to worry about just needs to simply step into our luxurious and comfortable executive cars, which allows him to compose and brace himself for the day ahead. The opulent arrival in the venue can surely enhance one’s image not only among business colleagues but also upon prospective business clients or partners. Before hiring a chauffeuring service for a business conference trip, search the web for companies offering this travel option. Compare the rates in the market and based them on the service provider’s experience, insurance availability, the condition of the vehicle, and proper accreditation. With the booming car rental industry, London can never be short of companies vying to offer the best service package. Furthermore, ensure you check the driver etiquettes. For nothing can be more pleasant than to be driven around by a chauffeur as mannered as his distinguished passenger. Finally to book your business trip executive chauffeur or if you have any enquiries, please get in touch by completing the contact form or by phone or email.